The nation’s top military officer says the global financial crisis is threatening U.S. security options abroad. Navy Admiral Mike Mullen told reservists Monday that the financial meltdown will force a delicate balance between national security and federal budget cuts. 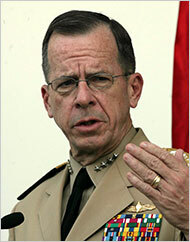 Mullen is chairman of the Pentagon‘s Joint Chiefs of Staff. The Pentagon will soon send Congress a new budget request, and top officials are signaling that it will reflect belt-tightening because of the poor economy. The money crunch comes amid what Mullen described as sweeping political changes in Iraq and Pakistan. 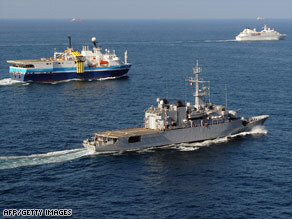 Stabilizing both nations is crucial to the U.S war on terror. You are currently browsing the archives for the Mullen category.